“You must like your wife. You talk about her a lot.” You don’t like your spouse? 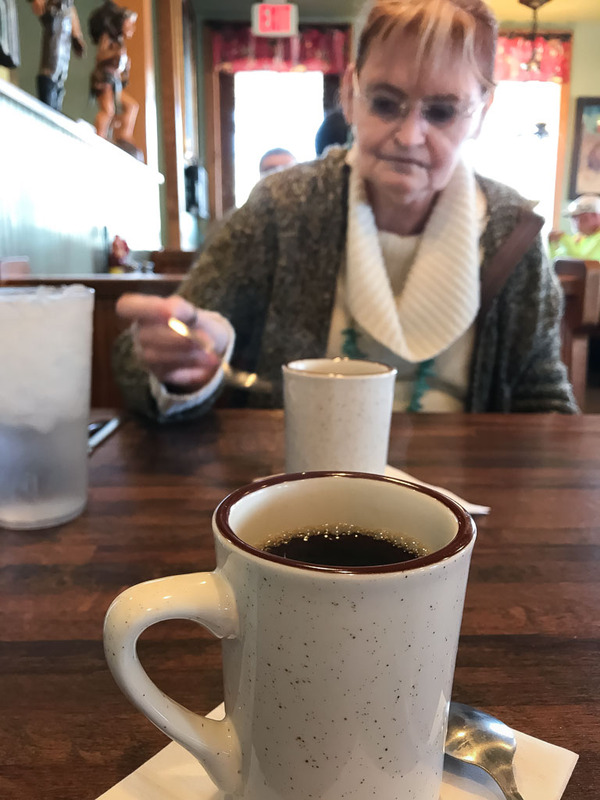 This is my favorite place in the world: breakfast with my wife. Once when I had my teeth cleaned, and the hygienist (first type through autocorrected to “eugenist”) nagged me for drinking too much coffee. I have friends who vanish from social media for weeks or months at a time, and I miss them when they do. A wise man speaks because he has something to say. A fool speaks because he has to say something. Valentimes Day. Chicken pops. Angels and dark angels. The Long Ranger. Stripped throat. Are the razor-sharp Oklahoma grass burrs the work of dark forces? Answer: yes. Happy People Pass My Way, the first song by Mandy, a Barry Manilow tribute/cover band. Christians wil forgive you for anything but not being a Christian. Anyone who asks “Am I too needy?” is too needy.